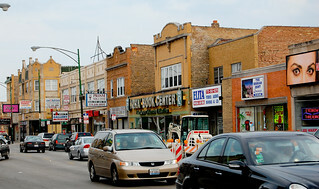 I have heard that Rogers Park is one of the most culturally diverse neighborhoods in Chicago and in the United States, and that this is due in part to the presence of international refugees. Does the city actively participate in a resettlement program, and does it designate certain neighborhoods for this purpose? Follow a refugee family's first hours in the West Ridge neighbor as they get settled into their new home.